Something soo exciting and fun to share this week! there's a blog party event extravaganza coming your way! It's going to be soooo much fun! FEEL FREE TO TAKE IT AND PLACE IT ON YOUR BLOG! Tell your friends~ Mark your calendars! and I am perusing through the links even now. 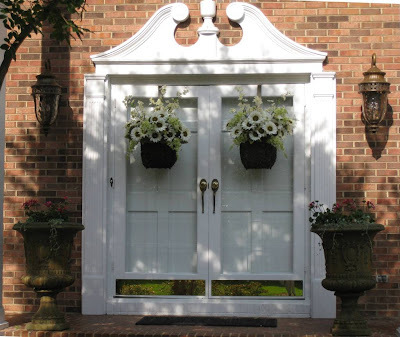 Dwellings- the heart of your home shared beautiful front door baskets. Nancy's Daily Dish shared such a pretty bedroom! The Ivy Cottage shared a darling little girls room. You all make this party so fantastic and so much fun! SHARE your decorating, flea finds, designs, crafts, table settings, etc. ANYTHING related to feathering your nest! Make sure you post a button or a link back to the party on your post. I have noticed that not everyone has been doing this- so this a little reminder. Yeah! Can't wait to party with you! ;) Thanks for hosting Courtney! I'm loving Curly Willow's farmhouse table! Wow! So many of my fave blogs all part of this blog party! Can't wait! Looking forward to the block party. Thanks for hosting Courtney. The Block Party is a wonderful idea. Thanks for hosting! Hi Courtney, just linked up! I think the summer blog party will be great fun!! yeah summer!! Linked up, and thanks for the note about the blog party, I'll put it on my calendar!! Thanks so much for featuring my post Courtney!!! Thank you for hosting another week of your fabulous party - I so look forward to this one! Can't wait for the blog party too...sounds like so much great fun. Hi Courtney! Where can I find your html codes for the buttons? would like to put one in my link! Thanks, Courtney, for graciously inviting us for this weekly Party. It's alway fun and inspirational! Can't wait for the party even though I have a very hot job to start and finish for then. Thanks for hosting this party each week. Whoo hooo, can't wait for the party. I suppose I better get busy painting. Thanks for hosting. Thanks for hosting the party and I will definitely check out the block, er, blog party. Wow the blog party sounds like a lot of fun. I'll be looking forward to it. Thanks for hosting Courtney. WooHoo ~ more parties coming! Can't wait! I've just linked up with you ~ thanks for always hostessing this fun event! 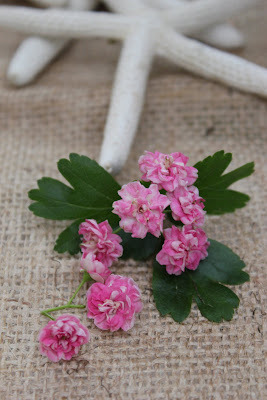 I love your photo of the burlap and starfish! How fun this will be..
What a great party idea! Can't wait! Looks like lots more fun links! Thanks, Courtney! Big times coming up. Sounds like fun! Courtney, Thank you for featuring my girls bedroom! I'm honored!!! Yay! It's party time again! I love coming to your party and thank you for being the gracious hostess. So happy to be a part of your Linky this week. So many wonderful projects and ideas!! Thanx for hosting Courtney! Looking forward to the blog party! 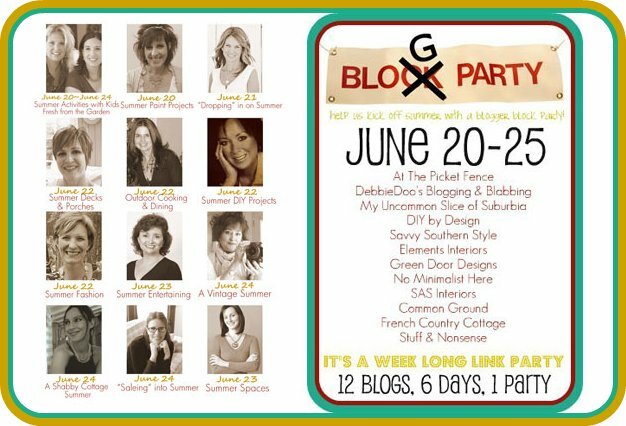 Well now you have me curious about the blogger block party! Thank you for hosting. Have a wonderful day! Hi Courtney, Another big party this week; I'm #97 and it's still Thursday. Thanks so much for hosting. You are such a kind hostess. I'm looking forward to the big blog party in June. Thanks for the linky party Courtney. I am looking forward to the week long blog party too. Wow Courtney, I must say your linky party has gotten to be so popular! It's only 9:00 PT and you already have over 100 participants. Amazing! I'm curious about the blog party. all linked up...and so excited for the summer blog party...eek! have a wonderful weekend my friday friend! Thanks so much for hosting this link party! I'm really excited about the summer blog party! As soon as I finish up looking at all the goodness in blog land, I'm going to figure out what I can link up! Can't wait! Thanks for hosting, I look forward to Fridays every week to see what's new at the French Country Cottage. Thank you for hosting this lovely party, I love linking up! Thanks so much for the feature! I am so excited! Thanks for hosting Courtney! Found you through At The Picket Fence. Looking forward to looking around here! Thanks for your sweet commnents Courtney. I get lots of inspiration on your blog, can you tell??? I was inspired by your recent silver post and I redid a a built-in bookcase with my wedding silver I hadn't used in years. I haven't posted it yet. Love your new button, I had your old button on my blog, and I just switched it out for the new one.